The X-files... American pop-cultural catalyst of High Weirdness. "Building upon the paranormal milieu established by such classic television shows as Kolchak: The Night Stalker, The Outer Limits, and Rod Serling's "other" foray into the macabre: Night Gallery... the X-files would, in many ways, surpass these earlier shows in it's impact. 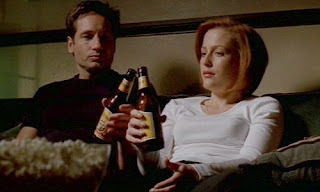 Due in part to timing and in part to the times... the X-files would become an influential component of the rapidly morphing zeitgeist at the closing of the 20th century. The show's subject matter would act as a lightning rod of "conspiracy thinking" that would, in part, trigger the "High Weirdness" that was to come, at the dawn of the new millennium." For those of us who grew up being intrigued by the supernatural, the unexplained and all things Fortean… little on American television has been more entertaining or influential than that beloved 90’s cult/sci fi/horror television series created by Chris Carter… the X-Files. 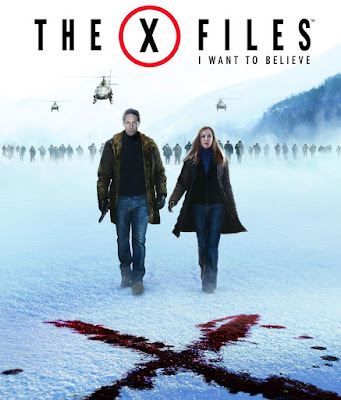 Through its off-network syndication, millions of viewers continue to follow the exploits of FBI Special Agent Fox Mulder and his skeptical partner, Dana Scully as they investigate baffling, unsolved cases involving the paranormal, extra-terrestrial phenomena, and related conspiratorial monkeyshines. Crafted in the fine tradition of classic 1960’s shows such as the Twilight Zone… the X-files came along at a time when the paranormal was fast becoming the new normal. Looking back at the show’s impact on pop-culture, the X-files exerted a strangely disproportionate influence on the new paradigm. It could be argued that the X-files played a significant role in pop-culture’s metamorphosis from a previously ordinary reality... into a contemporary bizarro world of High Weirdness. It is under the cover of this odd premise that Tek-Gnostics Media recently added to its archives, a new section entitled: “I Want to Believe: the X-files... American pop-cultural catalyst of High Weirdness.” In presenting our annotated X-files Exegesis, Tek-Gnostics wishes to acknowledge the profound influence and inspiration that the writings of Chris Knowles has had on our understanding of the esoteric importance of the X-files franchise. We consider his work to be the definitive authority on this topic.